IMPERIAL PALACE HOTEL & CASINO AUTO MUSUEM - LAS VEGAS, NV. The auto collection at the Imperial palace Hotel and Casino offers about 250 cars at any one time. Many of the cars are for sale. I have visited this collection twice and at least half of the vehicles are new since the first visit. The atmosphere is great, view at your leisure. It also has a small gift shop offering a great book selection. Enjoy! 1989 CHEVROLET CORVETTE ID # 1G1YY2184K5110110 1 OF 29 Made, only 27 still exist. 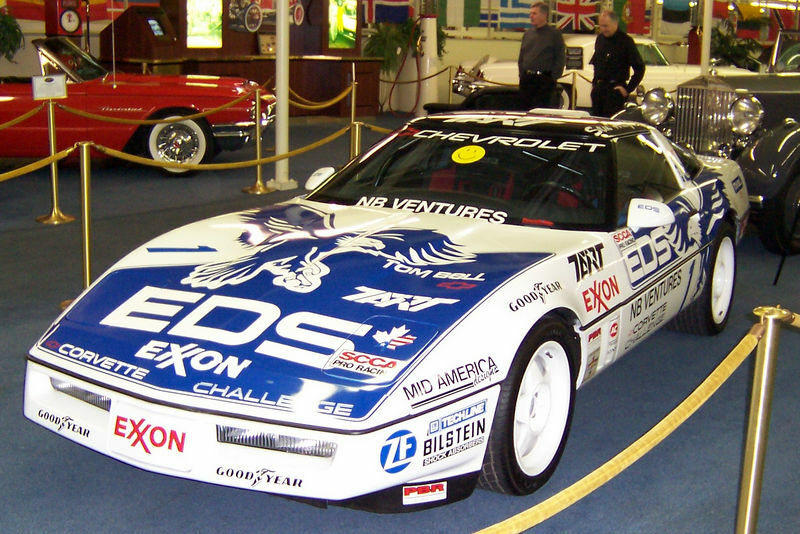 Car # 1 from the Texas American Race Team was driven by the 1988 Corvette Challenge Series Winner, Stu Hayner. This car has the on-board computer system that was installed by GM. This car also comes with full documentation to include certificate of title, window price sheet, certification race history and other documentation. It has been restored to original race condition with correct race graphics. This car was formerly owned by Mark Martins Classik Auto Museum, Daytona Beach Florida. Now you can own this historic Corvette Challenge Race Car with only 3,228 miles.